It’s in your own best interest to forgive. If you’re hanging on to unforgiveness, it’s in your own best interest to let go! You don’t want to forfeit graces God wants to give you because of a refusal to forgive. God’s will is quite clear here: even though it can be quite difficult, we must forgive. Indeed, a plethora of New Testament passages, set forth below, speak to a spiritual law of the Gospel that, in essence, impedes us from seeking the Father’s mercy if we are unable to extend mercy to those who have harmed us. Dear friend, Saint Faustina Kowalska tells us that we are most like God when we show mercy and forgiveness to others (Diary 1148). But, practically speaking, it is simply in our own best interest to forgive. Why would we want to harm our own spiritual progress by hardening our hearts and refusing mercy to others? And keep in mind that God is constantly sending us actual graces to give us the courage and desire to forgive. God is all-helpful: ask Him for the power to forgive. Reference: See Ignatius Catholic Study Bible, page 369, fn on Col. 3:12, wherein it states: “We express gratitude to the Lord by imitating his mercy in our relationships with others. In fact, extending forgiveness to others is necessary if we hope to receive the ongoing forgiveness of the Father (Mt 6:14-15;18:23-35).” In his book, The Seven Secrets of Confession, Vinny Flynn discusses section 2840 of the CCC. 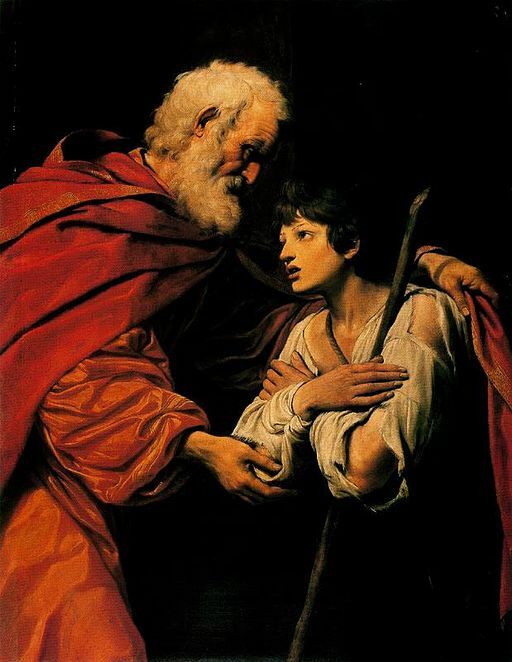 Image: Return of the Prodigal Son by Leonello Spada (1576-1622), Public Domain, U.S.A.